How Do Divided Sleep Periods Affect Sleep Quality? How Do Divided Sleep Periods Affect the Quality of Your Sleep? We have all done it at some point in our lives: broken our normal sleep amount into several separate periods. For example, you fall asleep on the couch in the evening for several hours, wake to watch the late news, and then go to bed for the remainder of the night. But what if you sleep this way every day -- or every night? How do these divided sleep periods affect the quality of your sleep? There may be important consequences that might be enough to deter this habit. If you suffer from inadequate rest, either of insufficient quantity or of poor quality, you are likely to experience excessive daytime sleepiness. This drowsiness can make you capable of falling asleep at almost any time. Rather than sleeping in one consolidated period of sleep overnight, you may sleep in short periods. This affects natural circadian rhythms and disrupts normal sleep cycles. Our desire for sleep increases the longer we are awake. This is called our homeostatic sleep drive. This gradually accumulating desire for sleep builds the longer that we stay awake. We are able to resist this for many hours (even days), but eventually, the desire for sleep overwhelms us and we fall asleep. This may be due to an accumulation of neurotransmitters, chemicals in the brain that function as signals between nerve cells. The second element that contributes to our desire for sleep is the circadian rhythm. As creatures who are typically awake during the day and asleep at night, the circadian rhythm reinforces this sleep pattern. In nocturnal animals, such as rats, the reverse pattern is seen. Various hormones in the body follow a circadian pattern. Melatonin, for example, peaks overnight. Another hormone, cortisol, plays an important role in waking us up in the morning. These two processes come together to encourage increased drowsiness and a strong desire for sleep overnight. However, our behaviors may disrupt these natural tendencies. Though our bodies want us to sleep overnight, we may not always follow these patterns. Ideally, we would sleep in one consolidated period overnight, typically lasting about eight hours. However, modern life lends itself to distraction and disruption. Naps are a common occurrence, especially in lifestyles that lend themselves to a midday rest. 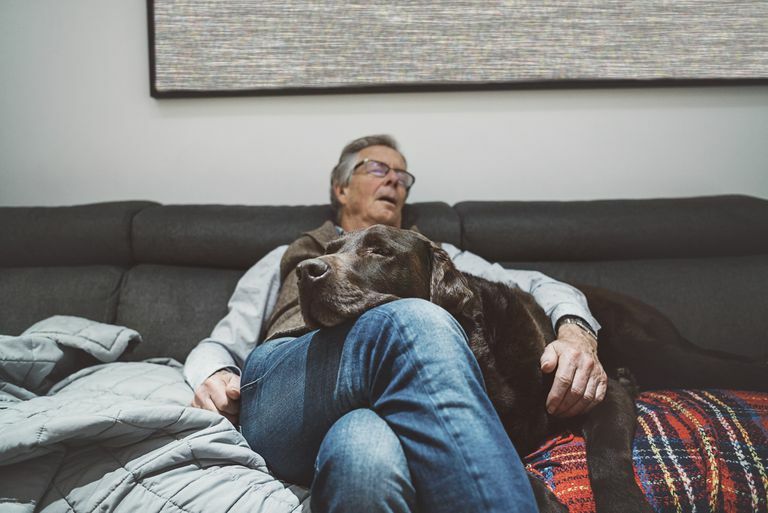 Brief naps may not be particularly disruptive of your homeostatic sleep drive, but naps lasting several hours may actually diminish your ability to fall asleep later. As you go to bed later in the evening, you may have difficulty falling asleep and suffer from insomnia. As sleep begins to overwhelm you in the evening, you may slip into and out of sleep. This may be especially true if you fall asleep to your television. The persistent stimuli may disrupt your ability to transition normally to sleep. Moreover, if you awaken and resume watching your show, your sleep will become greatly fragmented. Your sleep environment should not include potentially disruptive stimuli, and removing the television, computers, and other distractions may help you to sleep better. For those who are employed in shift work, your circadian rhythm may be ignored as you are forced to stay awake overnight and sleep during the day. The quality of your sleep can be significantly compromised and you may suffer other health consequences. What Are the Consequences of Sleep Fragmentation? Dividing your sleep into periods scattered throughout the day and night, especially on a chronic basis, may have significant cognitive effects. This may be due, in part, to a breakdown of the natural sleep architecture. Sleep architecture is a description of the natural pattern of sleep stages that occur during a standard sleep period. It is represented by a hypnogram and can be assessed with a sleep study called a polysomnogram. Although it changes as we get older, most adults will cycle through the various sleep stages at regular intervals. If this is disrupted -- either through sleep disorders such as sleep apnea or with behavioral choices such as sleeping in divided periods -- there are clear effects. One important consequence of sleep fragmentation is the resulting sleep deprivation. This may occur by slipping into and out of sleep, shortening the amount of time for deep, restorative sleep. The amount of total sleep may also be suboptimal. Dividing your sleep between nighttime and a daytime nap appears to have the same effects on your mood, concentration, and cognitive abilities as if you were to chronically restrict your sleep. Wakefulness at night promotes these deficits as ill-timed sleep is simply not as restorative. Therefore, if you find yourself making choices that are dividing your sleep between the day and night, you may want to follow guidelines to consolidate your sleep and improve your rest through better sleep habits. Mollicone, DJ et al. "Response surface mapping of neurobehavioral performance: testing the feasibility of split sleep schedules for space operations." Acta Astronautica 2008;63(7):833-840.